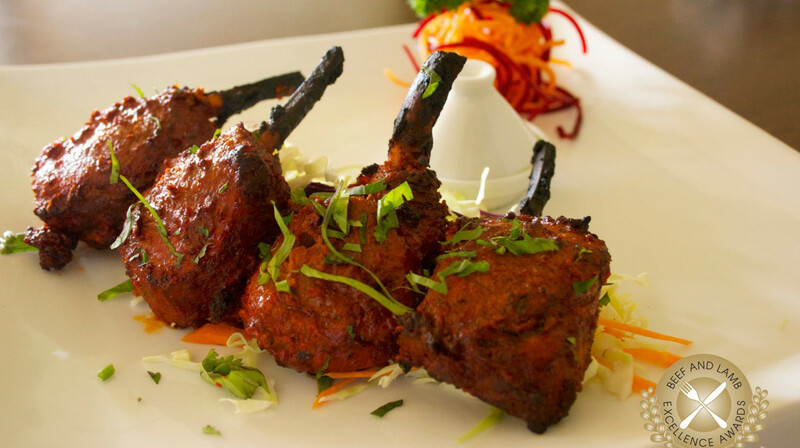 Authentic Indian cuisine is not always easy to come by. But the second you step foot inside Indigo, you’ll lose yourself in the wonders of India. 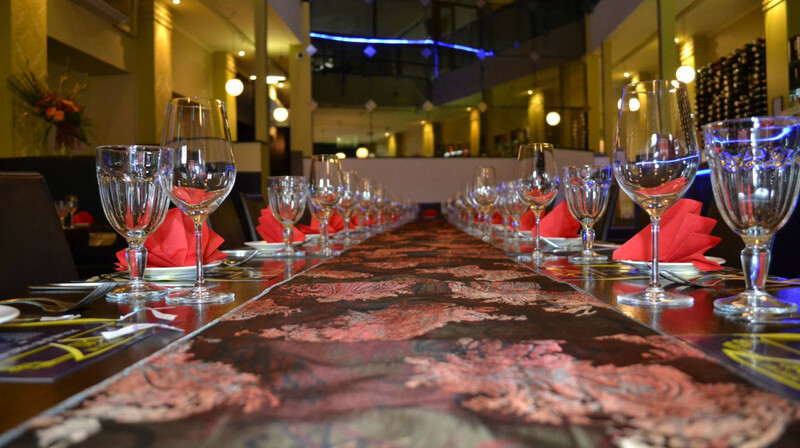 This award winning restaurant is located right in the heart of Napier’s CBD and believes in using only the finest, freshest, local ingredients. 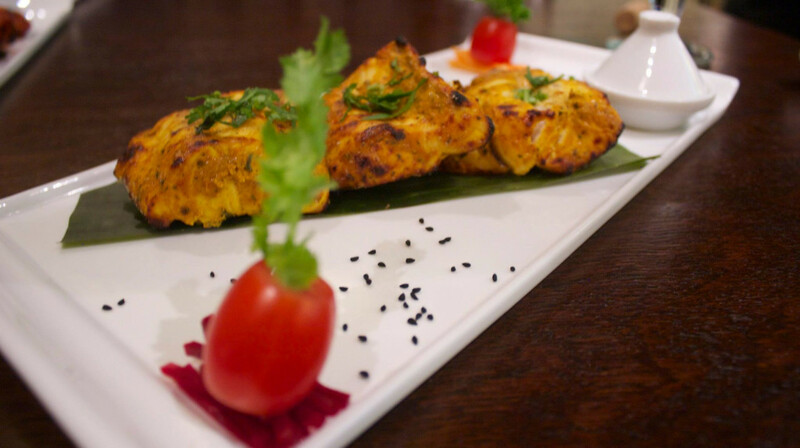 Your taste buds will be treated to both traditional and unique Indian flavours and dishes, while you will be looked after with the best service in town. 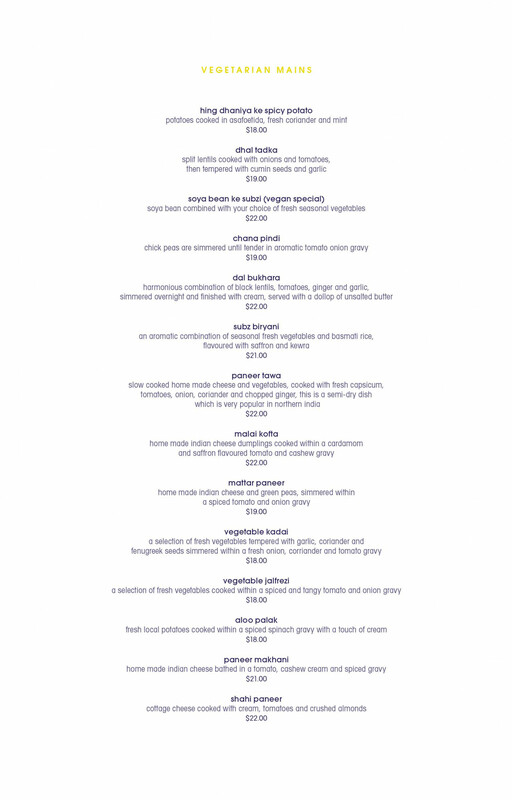 Fear not, gluten-free, dairy-free, nut-free, vegetarians, Indigo also has a menu guide to make sure you have a fantastic experience also! Their comprehensive wine list isn’t to be missed. Match your wines with your dishes, or indulge in their fantastic cocktails! But if you’re a whisky aficionado, ask one of the friendly staff for their menu of over 320 whiskies and Bourbons! Book a table now at Indigo, and don’t forget to dress up! 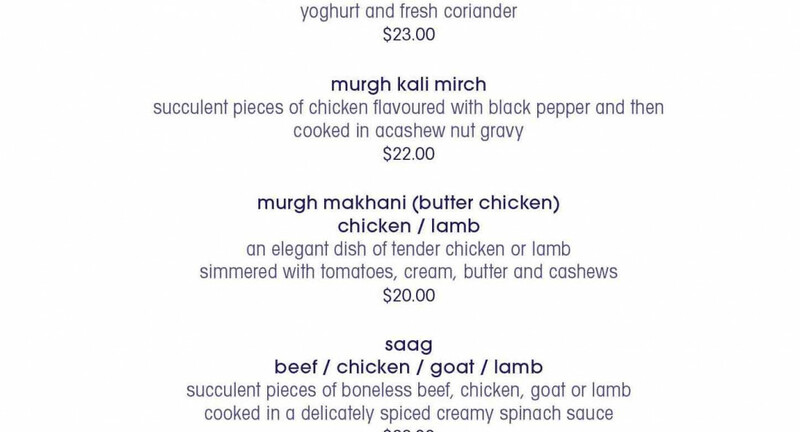 This isn’t your average Indian restaurant. Fabulous service, the table was set with nibbles and condiments before we arrived. It was our first family dinner out and the waiting staff made a real effort with our little girl. Food arrived super quickly and was thoroughly enjoyed. 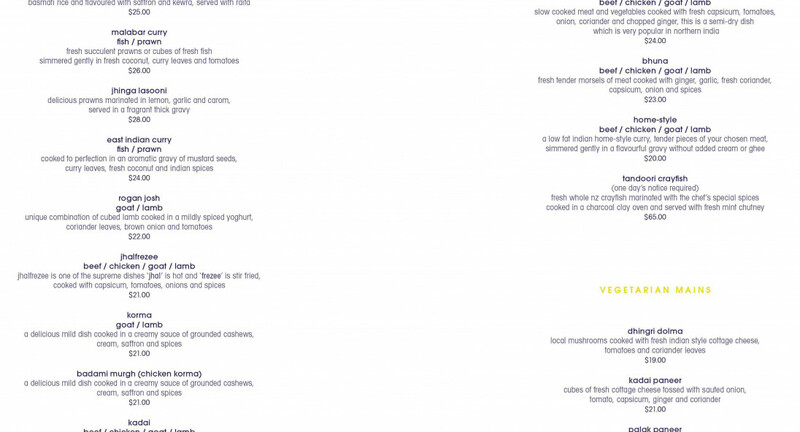 So nice to see a selection of child sized mains from the adult menu rather than just all deep fried options. Thank you so much! Amazing food, fantastic service. Indigo is by far the best Indian restaurants I've ever dined at. Good atmosphere. Great staff and the food is always consistently amazing!!! Table was set ready for us when we arrived. Children's meals were a good size, chicken lollipops were delicious. Will dine here again in the future. Great dinner at Indigo. 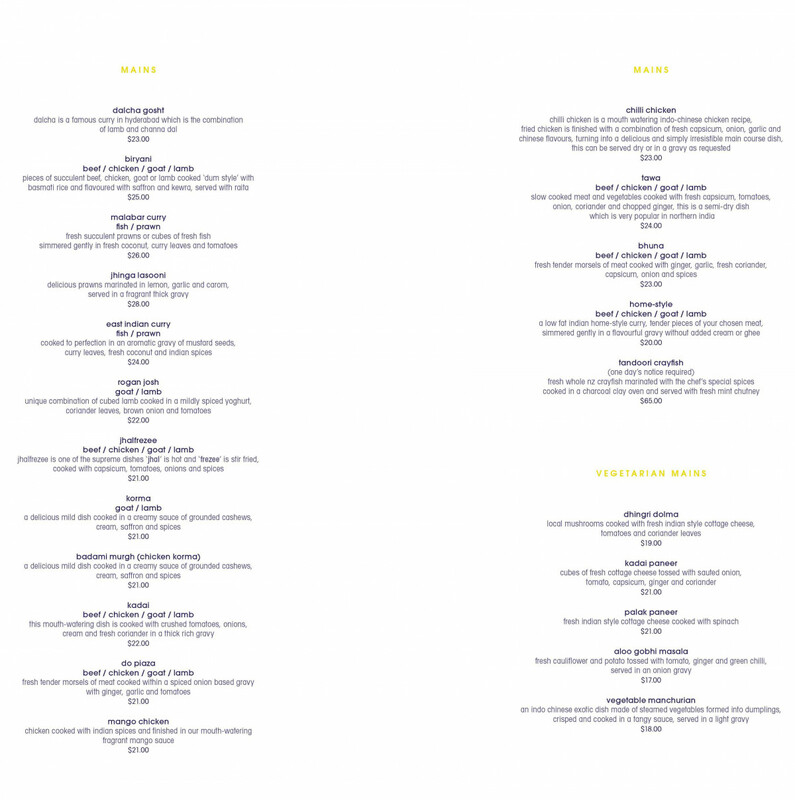 Big menu to choose from and delicious flavours. Love going to Indigo. Excellent quality. It was ok. 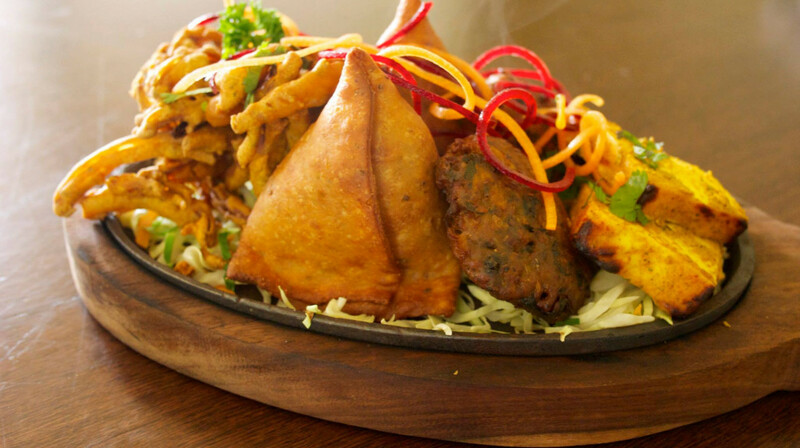 I remember going in last year and it was amazing with the vegetarian platters with samosas and other things on there. they didnt have that this time. Overall the food was ok. the cheesy garlic naans are to die for :) YUMM x thank you Indigo. The food is delicious, the portion sizes are generous and the service is great. Really enjoyed the meal. Beautiful Food with Excellent Service. We tried the Vegetable Manchurian, they were so Delicious! even my meat loving Husband Loved them! 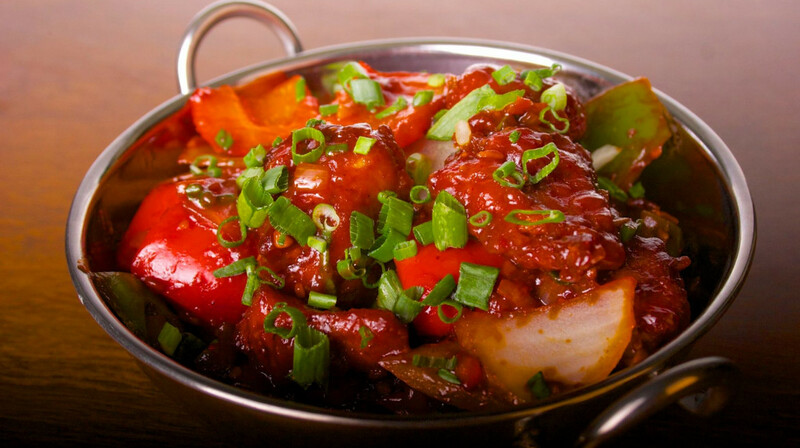 An exotic dish made of steamed vegetables formed into dumplings, crisped and cooked in a tangy sauce. 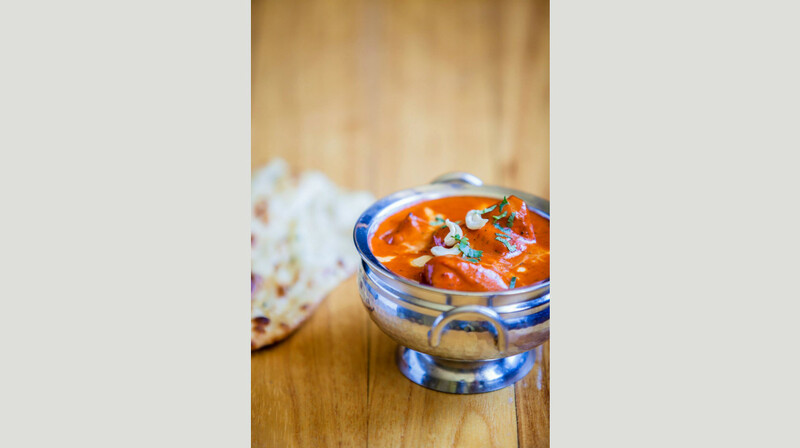 Also the Best Butter Chicken!! and Tandoori Chicken simply a Fantastic meal. Only good things to say about this restaurant. If you are in Napier you should go and try the food you will not be disappointed. Excellent menu with interesting and innovative options. We loved our meal at Ingigo , great menu selection, tasty food , excellent service and the gin tasting deal was lots of fun . Highly recommend! We ordered a huge range of entrees, a main, breads and fries. Everything was delicious but our favourites were the stuffed mushrooms, lollipop chicken wings, the gorgeous butter chicken and super yummy garlic and cheese naan. Indigo is a beautiful restaurant and all of the staff were both lovely and professional. Awesome food. Great service. Flavours are amazing. 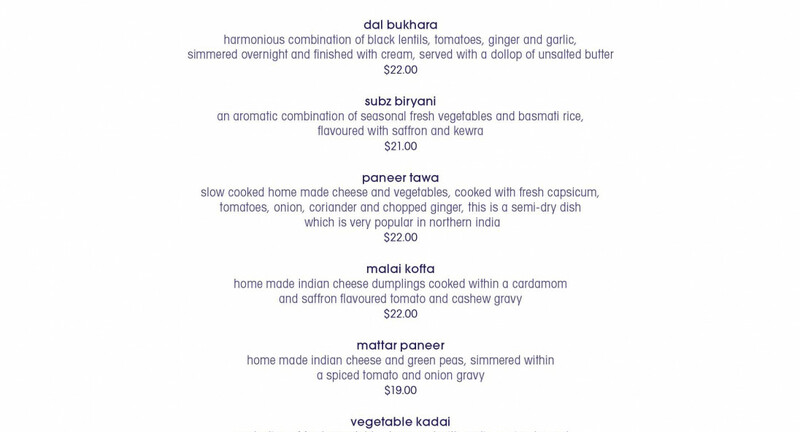 Best Indian restaurant in Hawke’s Bay for sure! Customer service at Indigo is amazing and the food delicious . 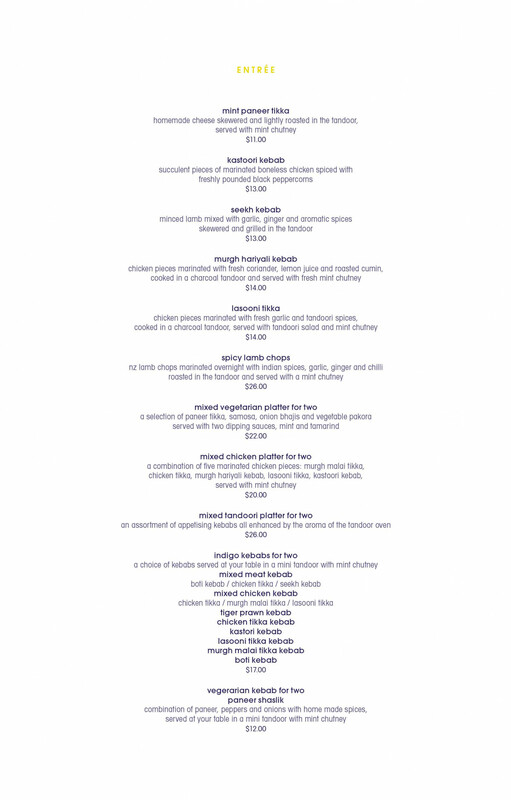 The service was excellent and the food was very good also. I would not hesitate in dining at Indigo again. My wife and I had a very lovely dinner at Indigo. The atmosphere is excellent, and the lamb was amazing, she hardly have lamb but now her fave is lamb from Indigo. the Salmon and prawn was also very tasty. We definitely know where to visit when we come back to Hastings. Wonderful meal at this great restaurant. We took the advice of our experienced waitress who knew just what we should order. Everything was delicious, thank you. Great time at Indigo. They are very tolerant of our young children and the food is fantastic! 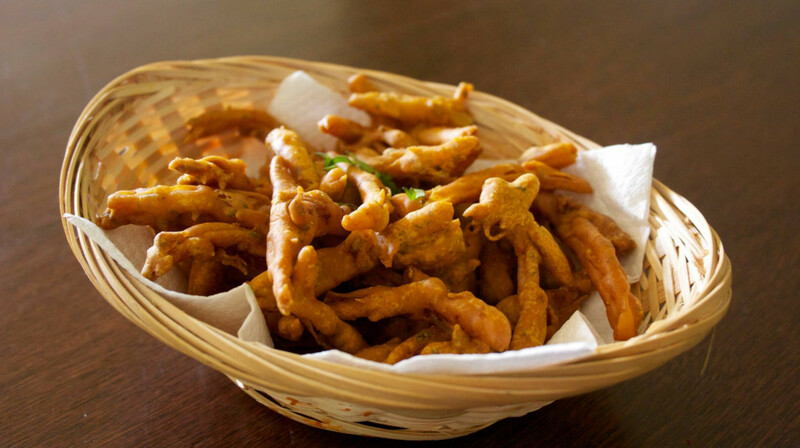 Welcoming wait staff, best onion bhaji in Hawkes Bay, amazing menu with so many dishes to choose from! Never disappointed when dinning at Indigo. What a perfect meal. Atmosphere was great. Although it was busy we still felt comfortable and relaxed and not overcrowded. The service was perfect with staff being very polite, friendly and going out of their way to help. Food was full of flavor and delightful. Delicious is not a Generous enough word to describe how amazing our dinner was. Our meal started with the most scrumptious entrée of Chicken Tandoori and stuffed mushrooms oh my you must try these they are ridiculously good. 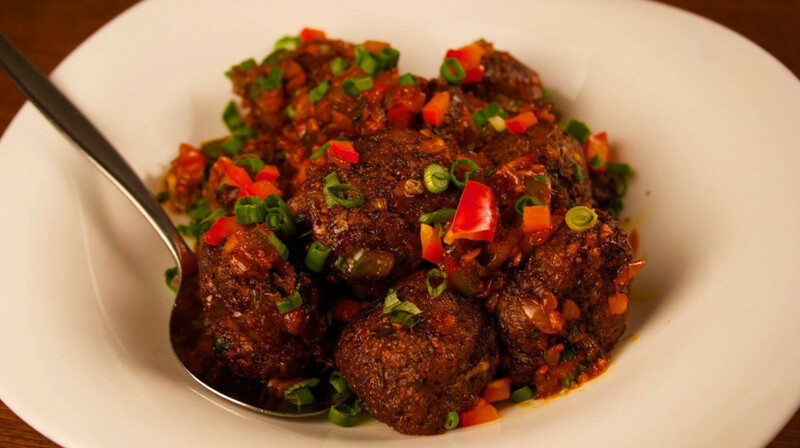 We proceeded with 4 mains vegetarian meatballs in a spicy sauce, Lamb & chicken in butter sauce and Jhalfrezee Chicken. We were all so Full and Happy with our food. By the end of the meal we were planning our next visit. 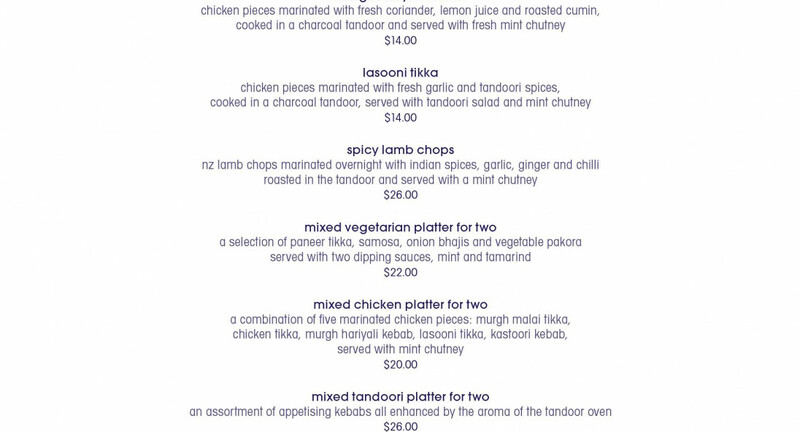 If you’re looking for excellent Indian food with the Best service in Hawkes Bay then you must go to Indigo’s! Such a brilliant evening! The food was amazing, the collective group can’t think of a single fault. Their service was top notch too, very patient and accommodating staff. We will without a doubt be back for more. 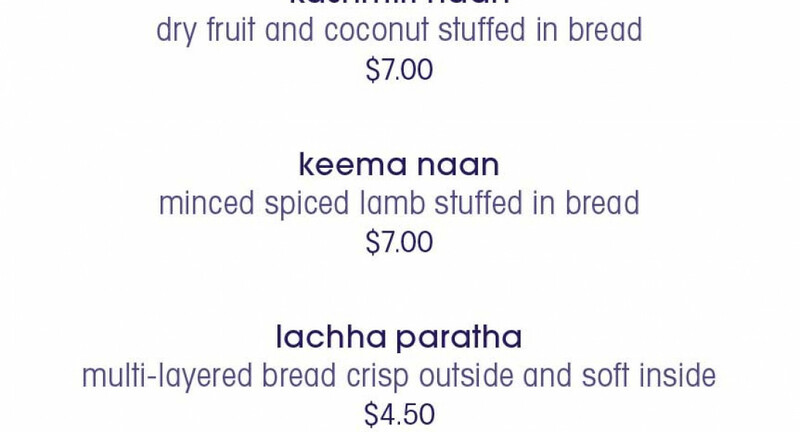 If you like Indian food, then try this restaurant. Family friendly and we liked the booth seating option. Delicious spicy food, great garlic naan . 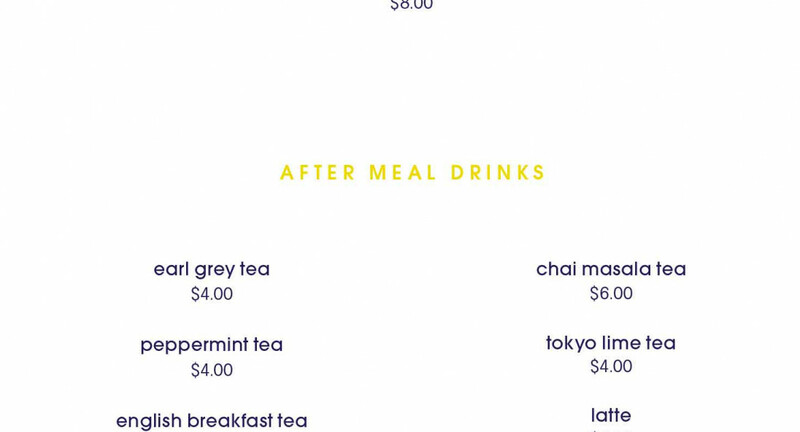 A good variety available in both the food and drinks menu. We got a litre of lemonade and raspberry for the children which was really good value! Look forward to a return visit!! Fantastic service and the food was amazing. We will be back! Great food, great service with an all round fantastic dining experience. Looking forward to coming back. Wow, it was so nice to be so well looked after. This was our first mother/daughter long overdue evening out. The waitress looked after us so well, a balance between checking everything was as it should be and giving us privacy. We had a time limit as we were also seeing a movie and the meal was served within this time giving us time to fully enjoy the experience and not be rushed. Thanks Indigo and Table First for this programme which allowed us to spend this much needed time together. Ka Pai!!! Excellent food and service looking forward to dining with you again soon. We had one entree and two curry meals and finished with one yummy dessert. 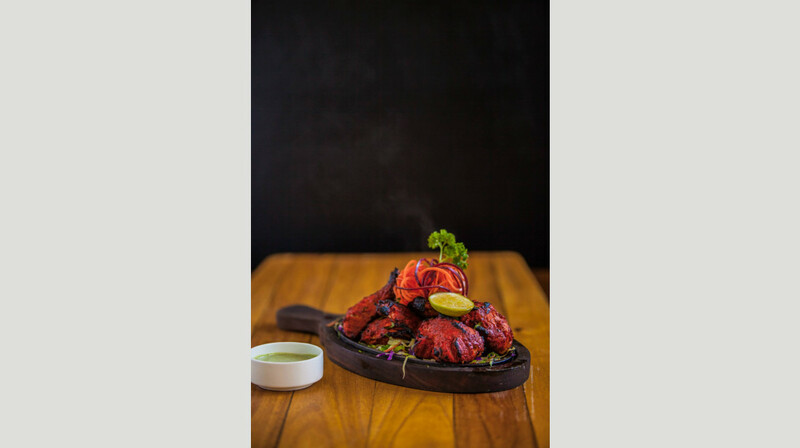 The tandoori chicken platter for two was cooked perfect, juicy and full of flavor. Service was friendly and attending, just the time you need and they will be there. We will definitely come back again! 5stars! 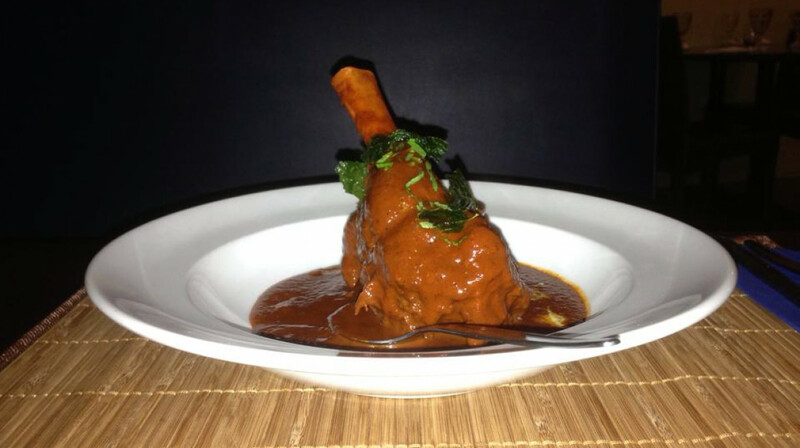 The food at Indigo is sub-continent haute cuisine. My Beef Short Rib, in particular, was truly phenomenal. If I worked for Michelin, I would be awarding them stars by the handful! Excellent service and food. Would definitely recommend the short rib! Had a fantastic meal here! I had the fresh fish curry (prawns) and it was delicious. There were plenty of prawns and they were cooked perfectly. The curry sauce was very flavoursome also. My husband had the goat kadhi and he said it was one of the best kadhi,s he had had. Will definitely be going again. Amazing service and even better food. Best place I've had an Indian in a while. The waiters ensured we were seated and served immediately and were very quick to take drink orders. Entrees came out very quickly and the mains came out when we were ready. Overall, amazing experience! Would go again and would recommend to all friends and family.